Sorry for the radio silence here at BBB. That's what holiday busy-ness, plus a 4-day trip to the (freezing cold) Midwest, and now a nasty cold will do to a blogger! 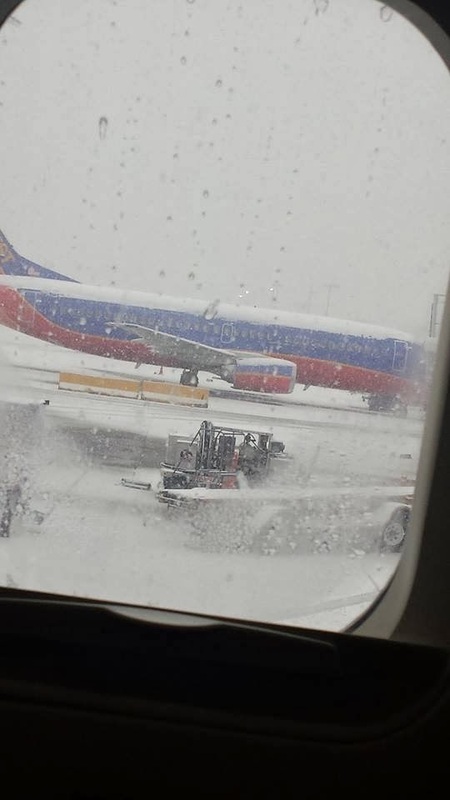 Thanks to the *lovely* weather (actually, it was lovely—it's been a while since I've seen falling snow), I spent even more time in airports and on airplanes than I thought I would, which means I got more read than I thought I would. Which also means that I am even more behind on reviews than I was before I left town. Ack! I'm not sure I'll ever catch up. 1. 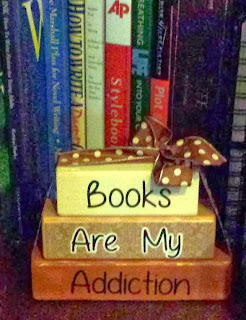 Not long ago, I entered a giveaway over at Mommy's Reading Break and won this cute little block stacker. Isn't it adorable? I had my choice of stackers, but this one seemed most appropriate. It sits on my desk, making me smile every time I look at it. Heather sells all kinds of stackers in her Etsy store, Rutherford Wood Designs. She's got Christmas themes, sports themes, family themes, etc. The stackers are very affordable, running between $8 and $14. They'd make great Christmas gifts, so be sure to check out the store. Hello my fellow bookies! I’m Stephanie and am excited to be visiting here today. A little about myself, I’m a SAHM with four awesome kids, three boys and a baby girl. I love reading and often find myself in the YA section. Aren’t some of the best stories those where characters are coming of age, figuring out who they want to be and finding their first love? My other passion is writing, which is what brings me here today. As I was finishing edits on a YA manuscript, I ran across an article talking about a new imprint from Macmillan Books, Swoon Reads. What caught my attention is that it utilizes crowdsourcing to find manuscripts to publish. So writers upload their finished works and readers come and read, rate and comment on them. The highly ranked manuscripts will get read by the editorial staff and could be chosen for publication. It’s the American Idol of the YA publishing world. As a writer, I am so excited for this because it breaks down so many barriers that lay in front of an unpublished author. In a conversation I had with Jean Feiwel, the Publisher of Swoon Reads, she said she wanted to tear down the barriers so deserving manuscripts can more easily be found and it gives them a better pulse on what readers want to read. Have you ever wanted a say in what books get published? Now’s your chance! It was recently announced the first book selection will be made in February so head over there and let your voice be heard before February 1st. After an easy sign up (literally only 5 spaces to fill out) you can read as many manuscripts as you want, absolutely for free. Yay for free good reads! So come take a look, let your voice be heard, for good and bad, and help an unpublished author realized his/her dream. Like yours truly, my manuscript, A Flutter of Butterfly Wings, is up there right now. (http://www.swoonreads.com/m/a-flutter-of-butterfly-wings) To sign up and start reading today, go to: http://www.swoonreads.com/sign-up. Thanks for having me, Susan, and for creating such a great blog that brings all of us bookaholics together. 3. 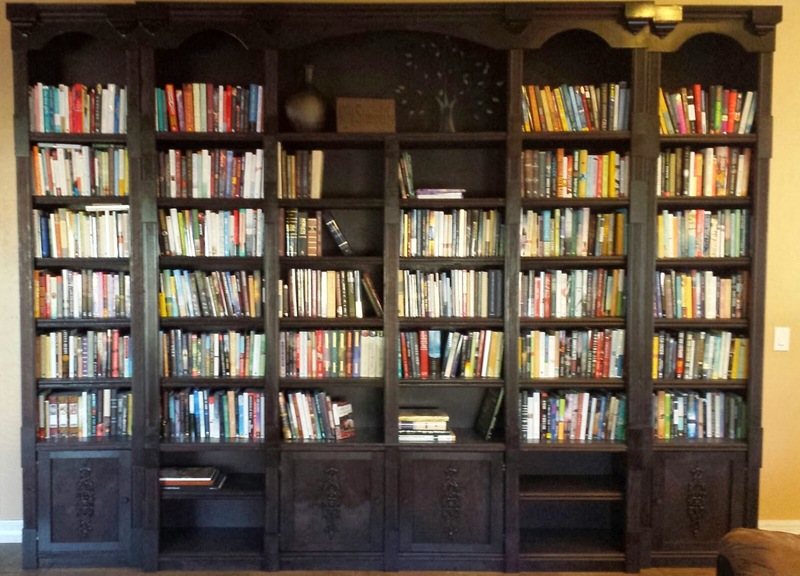 Remember back in the summer when I was bragging telling you all about my new bookshelves? Remember how I promised to post a picture and then didn't? Yeah. Better late than never, right? Obviously, this isn't the best picture, but trust me, my bookshelf is a beaut! It's 9 feet high and 12 feet wide. It holds lots of review books as well as others from my personal library. I'm not going to tell you what percentage of the books on the shelf are review books because that would just be embarrassing! 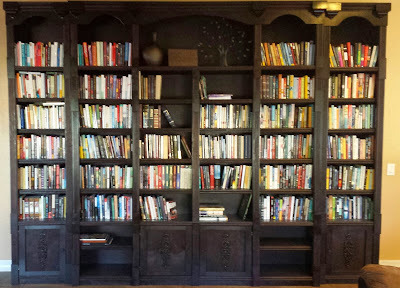 And, yes, I'm well aware of the irony of displaying a sign (it's on the top, center shelf) that says "Simplify" on a bookshelf that holds 1000 books or more. Yeah. So, what bookish things are you loving lately? I love your book shelves!!!! Love the shelves! Thanks for sharing.